How Do I Use These Diagrams? Nelson-Rigg Soft Saddlebags 23 Liter If you think you might want to get into the touring scene but do not want to drop big money on a bolt on arrangement, these may be the bags for you. 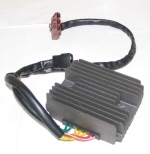 OEM Aprilia Top Box 35L -#CM220401 For '08-'15 Mana, Mana GT, '07-'09 Scarabeo 200 Light. OEM Clutch Drum Stop - 020473Y (ex AP8140304) For '03-'06 Scarabeo 500, '06-'11 Scarabeo 500, '01-'04 Atlantic 500, Piaggio MP3 500, MP3 400, Piaggio X9 500, Piaggio BV 500. Million Dollar Shine, Paint Protecting Wax 8oz. MILLION DOLLAR SHINE™ is a light polish with a remarkable super paint sealant that can be applied to your paint, exterior plastics, plexiglass, chrome and polished aluminum, even glass. AF1 Racing Fuel Injector Cleaning Service. Eliminate poor throttle response, high fuel consumption and low power output by having your injectors serviced into top condition by AF1 Racing. Battery Tender Wifi Battery Monitor Module This wifi module plugs in, in line with any Battery Tender charger to allow you to instantly check your battery voltage and condition from anywhere. Oil Fill Funnel & Quick Check Dipstick for 500 cc scooters. Battery Tender USB Port Plugs right into your Battery Tender Quick Disconnect for use as a USB outlet. Gasket For Gearbox Cover - 847963 (ex AP8560085) For '01-'04 Atlantic 500; '03-'06 Scarabeo 500; '06-'11 Scarabeo 500; '05-'09 BV 500, '05-'08 X9 500, '07-'11 MP3 500, '16-18 MP3 500 Sport/Business ABS, '08-'11 MP3 400. Valve Stem Seal - 436438 (ex AP856326) For many Aprilia, Vespa, Piaggio models. Sold each. OEM Aprilia Green Hose Clip D13.5x6-#AP8102765 Clamp is marked "CLIC 66 No 135"